grow their businesses and serve their communities all over the world. "We`re excited that we`ve helped millions of businesses grow. For example, in India, Bengaluru-based eyewear brand Glassic has said that 30 per cent of its new sales are generated through WhatsApp Business," the company said in a statement. "Simply press the "/" on your keyboard to select a quick reply and send," the company said. The other two features include labels that lets users organise their contacts or chats with labels, so they can easily find them again, and chat list filtering which makes it easy to manage your chats with filters to sort by unread messages, groups or broadcast lists. 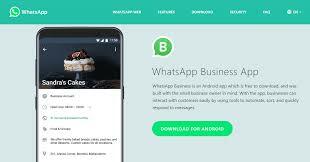 WhatsApp Business competes with the likes of Apple`s Business Chat and RCS messaging for Android and Facebook`s own Messenger Platform.